Perchance Theatre's 2018 Season was dedicated to the memory of Ross Leslie. The Duke of Leslie was a long time believer in the vision of Perchance and supported us at every step in big and small ways since 2014. 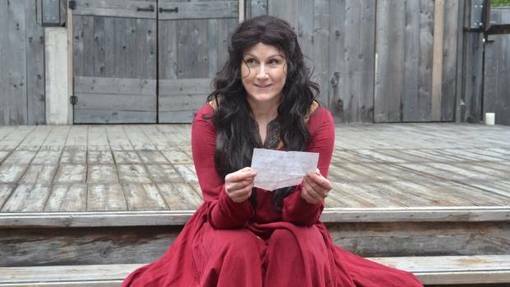 ​Janet was a leading lady on stage and off and that was best summed up in her performance of Lady Macbeth in 2015 where she stepped onstage and transported the audience with her electrifying portrayal of Shakespeare’s most complicated Lady. Janet worked hard through long rehearsal days, in all weather, at all times of night, and always, always, always with a smile. This while going through the rigours of chemotherapy and the myriad of complications of such a venomous illness. She drew strength from performance and gave strength through her bravery and grace. She always felt that the show must go on. With her blessing, it will. The 2017 season was dedicated to her memory. In memory of Joan Lizbeth Gunness. Adored yoga teacher, dance instructor and blueberry lady of Bonny Slope Blueberry U-Pick Farm in Portland Oregon. Beloved sister to Marget Davis, brother-in-law Roger Pearson and loving aunt to Floyd Davis, Hannah Marchand and Lindsay Adey. She will be sorely missed.